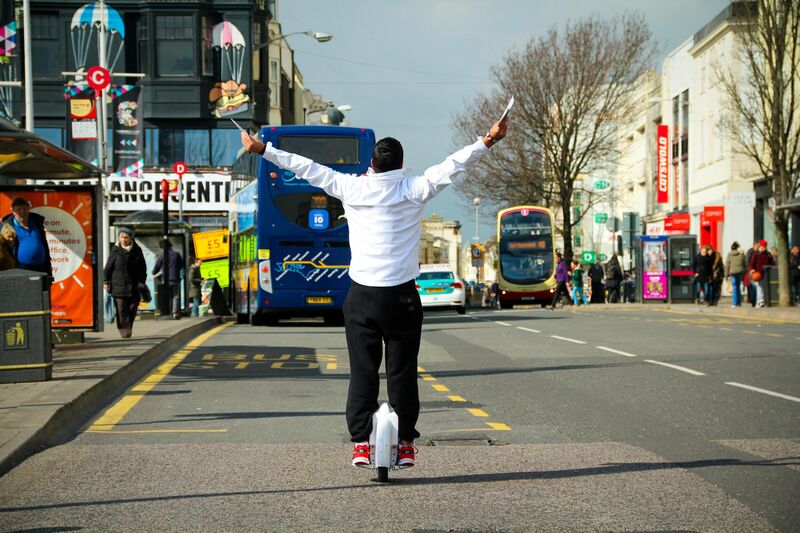 Abstract: Airwheel twin-wheel scooter recently launched a two-day-long riding show in the streets of British cities, namely Cardiff, Manchester and Brighton. This street riding show drew considerable attentions and keen interests from passers-by. Between 21st- 22th March, Airwheel, a world-renowned intelligent scooter-maker, launched a promotion- riding show in the street of British cities, Cardiff, Manchester and Brighton. This street riding show drew considerable attentions and keen interests from passers-by. Airwheel, established in 2013, has been operating in the sector of intelligent self-balancing scooter for 2 years. Through years of rapid development, it rolled out many models named under X-series, Q-series and S-series, some of which can be termed as classic, fascinating many across the globe. This time, the promotion activity in Britain featured the display of models of X-series and Q-series. The enthusiastic members of Airwheel British team put on a show of riding the electric unicycle and the twin-wheel scooter, along with offering guide to those longing for a try. Each time the members of Airwheel British team rode on electric scooter in the streets, a host of pedestrians were enthralled to watch the amazing show. Among them, many volunteered to have a go. Even a middle-aged female expressed a strong interest in the revolutionary electric scooter. At first, she was concerned that this vehicle might be hard for her to learn. The members of Airwheel British team gave a detailed explanation as to how to steer the scooter. Simultaneously, they ardently guided her to ride on the twin-wheel scooter. Thanks to a staff member’s support, she realised that the scooter was quite easy to steer. With body movements, she speeded up by leaning forward and slowed down by leaning backward. In the process of activity, Airwheel British team also handled out flyers to those interested in electric scooter. 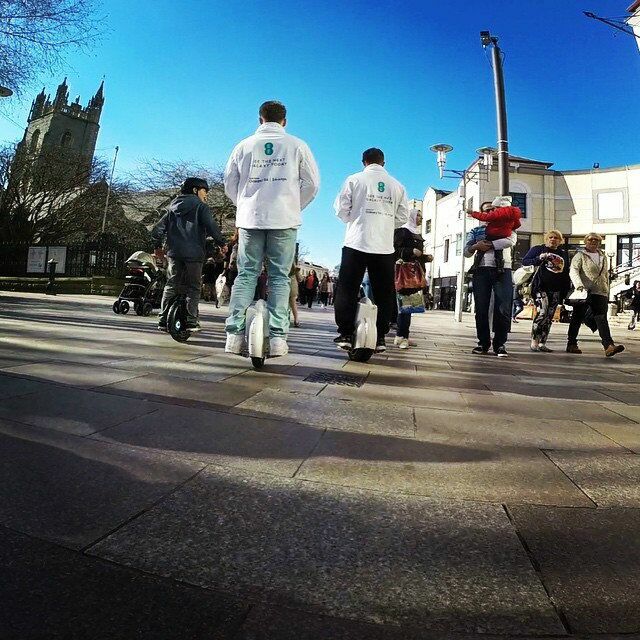 Through these flyers, Airwheel team attempted to tell the masses of the eco-friendly feature. Under the current theme of low carbon, Airwheel introduces the lithium battery core into its lines to eliminate emission. Airwheel gains favourable comments among environmentalists, not least because of this feature. This riding show held by Airwheel British team provided local people an opportunity to get a better understanding of Airwheel and products thereof. The concepts that Airwheel adheres to is believed to build a brighter prospect for itself.